Obituary for Frank A. Gozzillo | Devlin-Rosmos-Kepp F.H. 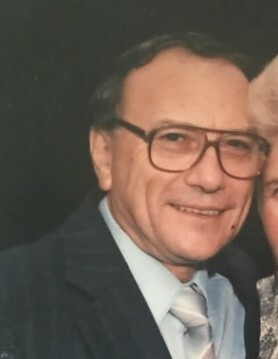 & C. S.
Frank A. Gozzillo, 81, husband of Peggy M. (Flaherty) Gozzillo of Phoenixville, PA, died on Tuesday, February 5, 2019 in Seasons Hospice. Born on November 24, 1937 in Reading, PA he was the son of the late Anthony and Rose (Casella) Gazzillo. He graduated from Phoenixville Area High School class of 1956 and then served in the Air Force. He worked for PENCO Products in Oaks for 42 years. He was a member of Kimberton Fish and Game Association. Patricia wife of Bruce Mitchell. Relatives and friends are invited to attend his Funeral Service in the Devlin Rosmos Kepp and Gatcha Funeral Home, 517 S. Main Street, Phoenixville, PA on Saturday, February 9, 2019 at 12:30 pm. Burial will follow in St. Ann Cemetery. Friends may call Saturday at the funeral home from 11:30 to 12:30pm. In lieu of flowers donations may be made to St. Mary's Francisan Shelter, 209 Emmett Street, Phoenixville, PA 19460.